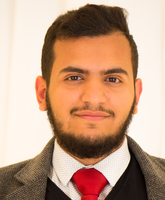 Nasser is a rising senior at the University of Washington, majoring in Biochemistry and minoring in Chemistry. This summer is his second research experience at UW and he is excited to be working with Dr. Boydston, optimizing vat photopolymerization (a type of 3D printing) that uses metal-free photoredox-mediate ring-opening metathesis polymerization (ROMP). Outside of the lab, Nasser is the president of the Saudi Students Club in Seattle, and he is also a medical scribe at University District Street Medicine (UDSM). 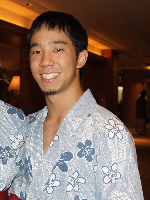 In his free time he enjoys reading, cooking, hiking, preparing for the MCAT, and shadowing physicians. After graduation, Nasser is planning to do research during his gap year while applying to Medical School. Tommy is a rising junior at the University of Washington, majoring in Biochemistry with additional interest in computer science and organic chemical synthesis. He spent the past year assisting the graduate students in Dr. Gelb medicinal chemistry lab, learning the procedures and techniques used to develop high-throughput enzyme assays to detect lysosomal storage diseases. Tommy interest in the design and optimization of proteins led him to working this summer under Dr. Chevalier at the Institute for Protein Design, expressing and purifying novel computationally designed proteins that bind to and inhibit the influenza virus. His lab hopes to take their research on to clinical trials and commercial production. In his free time Tommy enjoys reading, hiking, and playing videogames. In the future he would like to continue researching proteins and someday learn to use a hang glider. Dino is a rising sophomore at the University of Washington (Seattle) pursuing a double major in Bioengineering and Applied Computational Mathematics and Sciences. During his freshman year, he studied synthetic biology and organism design in the Klavins lab. This summer, he will work in the Applied Physics Laboratory with Dr. Tom Matula and Dr. Andy Brayman studying cell separation via ultrasonic methods and developing models for microscopic visualization of cell interactions. The goal is to commercialize a product that competes with current cell-sorting techniques (in particular, fluorescent tagging and magnetic bead sorting). In his spare time he enjoys coding, drawing, and hanging out with friends. 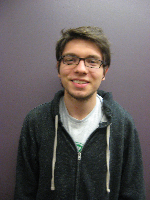 Sam is a rising Junior at the University of Washington, majoring in Electrical Engineering. 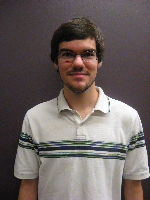 His interests are in signal processing and embedded systems, with a passion for the intricacies of calculus. This summer he is working with CIMU (Center for Industrial and Medical Ultrasound) to research Doppler-based Ultrasound bubble imaging. In the future he hopes to work with engineering in an international setting. In his free time he practices Brazilian Jiu-Jitsu and enjoys photography with his film and digital cameras. Amanda recently finished her sophomore year in Chemical Engineering at UW. She chose this field because of her love for math and science and desire to solve complex problems in society today. Since March of 2015 she has been working with the Posner Research Group to develop the next generation of point-of-care diagnostic devices for infectious diseases that have sensitivity comparable to lab-based tests, yet remain fast and inexpensive, and thus have the potential to greatly impact low resource settings. This research experience has inspired her to pursue graduate school, where she hopes to continue contributing to the medical field. 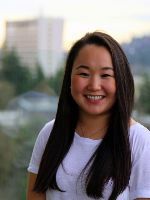 Amanda is also incredibly passionate about giving back to her community: she serves as the VP of Corporate Relations for Society of Women Engineers and the Treasurer for Women in Chemical Engineering, and she is also a mentor to high school students through The Dream Project at UW. 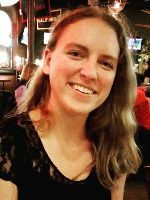 Through these various outreach activities, Amanda has developed a strong interest in event planning, which she hopes to keep as a side career in the future. As for personal interests, Amanda loves to draw, play sports, explore the outdoors and travel. 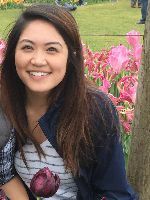 Jessica Lo is a rising junior who is majoring in Biochemistry and also pursuing a degree in Neurobiology. In her research Jessica is working alongside Wendy Thomas and the group Bioengineers without Borders to design a portable, low-cost anesthetic device. Currently, the need for anesthetic equipment that is durable and inexpensive is high. Designing such a device could save numerous lives, especially in developing countries where said need is most intense. In her spare time, Jessica loves to write and to read. She also currently serves as the editor-in-chief of an undergraduate research journal which she helped to found. 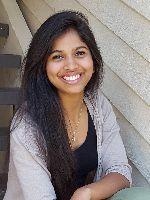 Kavya Magham is a rising junior at the University of Washington, majoring in Psychology. This summer she is working with Dr. Murray Maitland in Rehabilitation Medicine to design a multiaxial prosthetic foot which would allow people with lower levels of mobility to ambulate. She will be synthesizing questionnaires, interacting with patients, and reading literature in order to target the issues of this population. Kavya is the Choreography Lead of Natya UW and is the Founder/President of Kinspire, a 501(c)(3) non-profit organization. After graduating, Kavya aspires to go on to medical school to become a physician in developing countries. Dalena is rising senior at the University of Washington majoring in Public Health. This summer she is working with PainTracker which is being implemented at the Center for Pain Relief at the Roosevelt UW Medical Center. PainTracker is a web-based tool to assess and graph core patient-reported outcomes of chronic pain management over time. She will be helping conduct a research control group as well as analyzing patient data. In the future, Dalena hopes to work in global health non-profits and working to alleviate health disparities. Emily is a rising senior at the University of Washington pursuing a degree in Mechanical Engineering with a minor in Mathematics. She is working with Dr. Igor Novosselov on Aerosol Collection and Analysis Technology this summer. In the lab she is working on the development and optimization of a small and affordable optical particle counter. This technology will aid in environmental health studies on asthma and other respiratory health conditions. In her free time Emily enjoys reading, cooking, running, and exploring Washington with friends and family. 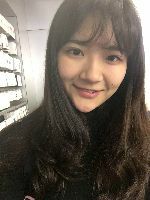 Yinong is a rising senior at UW double majoring in Economics and International Studies. Her academic and career interests include international business and consulting. This summer she will be working under the guidance of Dr. Aarabi. She will develop a business plan for the LC-Tourniquet device. She will conduct analysis on the existing market and further explore the route to market for the device. She will study details of purchasing of potential customers, reimbursements, and insurance approvals processes. As a non-STEM major, she is excited about learning new fields of knowledge and is happy to offer some creative solutions to the problem. 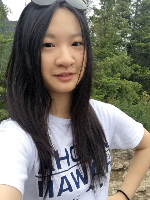 Yinong enjoys hiking, and she is good at finding delicious Asian food in the Seattle area. Iris is a senior student at the University of Washington, studying Electrical Engineering with a focus on the Embedded Computing Systems. 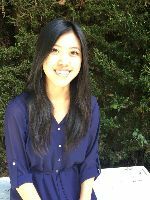 This summer, she will be working at the Health Eigen program under the supervision of Dr.Anthony Law. Iris job in the group involves mobile App development on the IOS platform. Her contribution will make the abstract record results from medical instruments more accessible and easier to understand for non-technical users. Iris has a strong passion for carrying on her continuation of enhancing software programming skills. She consolidated her wills of becoming an engineer as she is gradually being equipped with powerful skills that endue her to have a voice for female engineers.